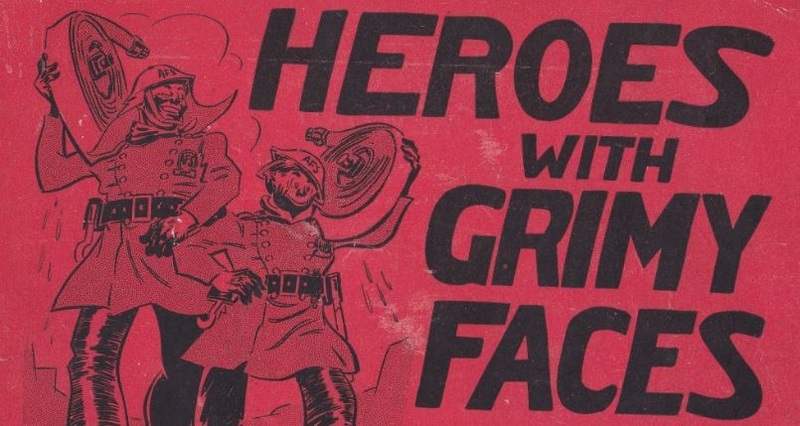 Winston Churchill referred to the firefighters of the Second World War's home front as Heroes with Grimy Faces. It was a title that stuck, the image above being an extract of the cover of a book by London Auxiliary fireman Ben Betts who produced a series of satirical cartoons depicting the trials and tribulations of the auxiliaries during the early stages of the war. This page of the IWFBF website is dedicated to the Island's own brand of these grimy faces. An aftermath scene of Guernica. On 26 April 1937 the Spanish Civil War was in its tenth month when the fascist association between Spain's Franco and Germany's Hitler forged an alliance to force a nationalist victory in the country's bitter battle between oppression and freedom. For Hitler it was an opportunity to put in to practice the military might he had been steadily building since levering his way to ultimate power. Whilst Germany didn't formally enter the war, after all it was a civil war, thousands of its troops and airmen did enter Spain to fight under titles that only thinly disguised their true nature. 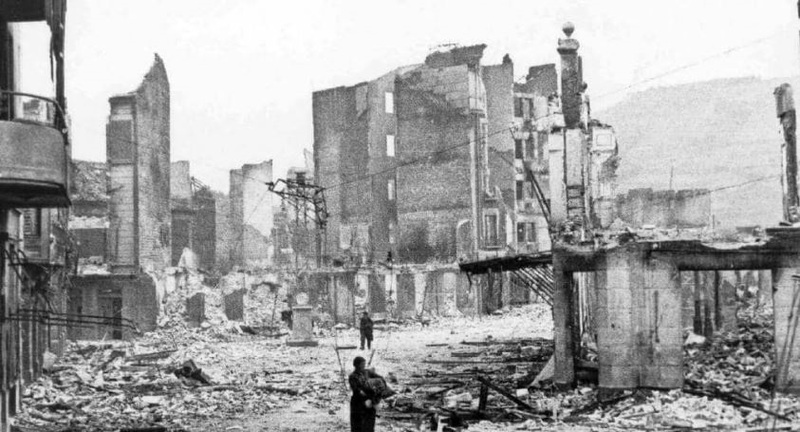 On 26 April 1937 one of those formations, the Condor Legion, launched a ferocious aerial bombardment on the defenceless Basque town of Guernica. Nothing like it had been seen before and the world's attention was grasped by the utter destruction of the settlement established in the Middle Ages around the iconic Tree of Gernika (a stout oak tree under whose boughs assembly's would form to discuss important matters). The British Government were horrified and accelerated the civil defence measures that began in the previous year. 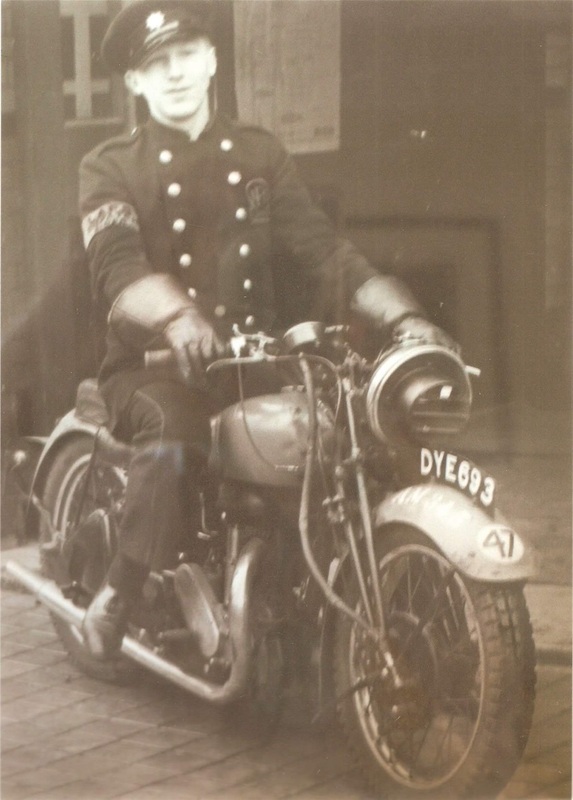 By 1938 this extended to the augmentation of the borough, town and parish brigades by the Auxiliary Fire Service. In 1938 the pages of the Isle of Wight County Press were suddenly and repeatedly peppered with local authority placed adverts encouraging men of the ages 25-50 to apply for a role in the Auxiliary Fire Service. For those authorities, compelled under a bill hurriedly rushed through parliament, the sudden increase of their firefighting capability brought many problems, not least of all that central government weren't funding the entire venture, the remainder had to come from the rates. 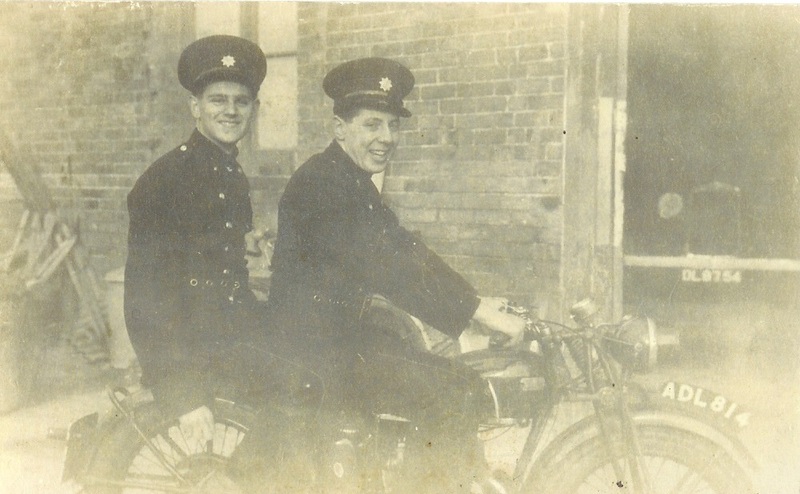 Ryde AFS messengers Colin Weeks and Bill Turner, 1940. 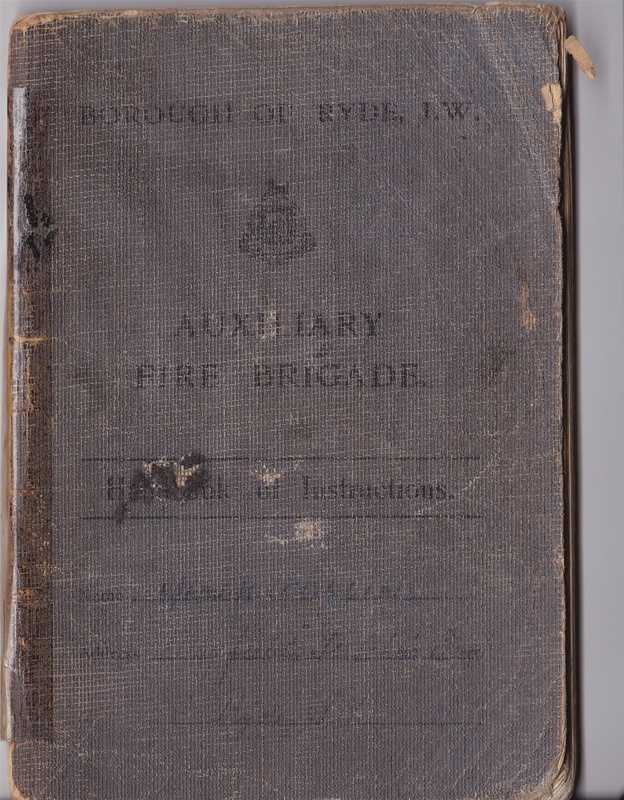 Ryde's AFS orders book (1938-41). 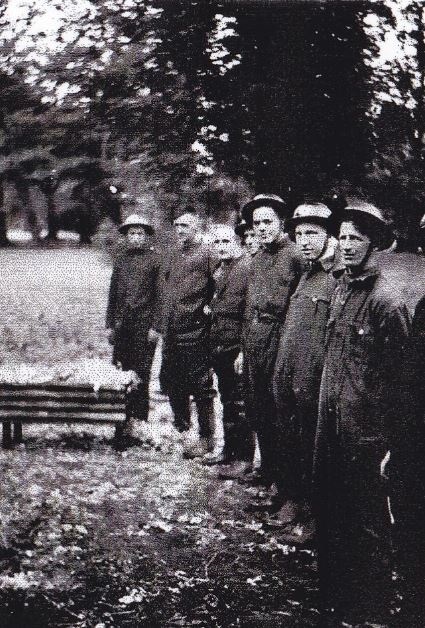 AFS firemen training in the grounds of St Mary's Hospital, Newport, 1940. 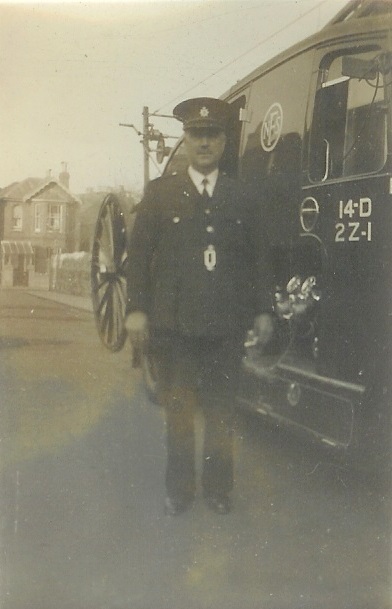 Chief Officer Max Heller in Station Street, Ryde, 1942. 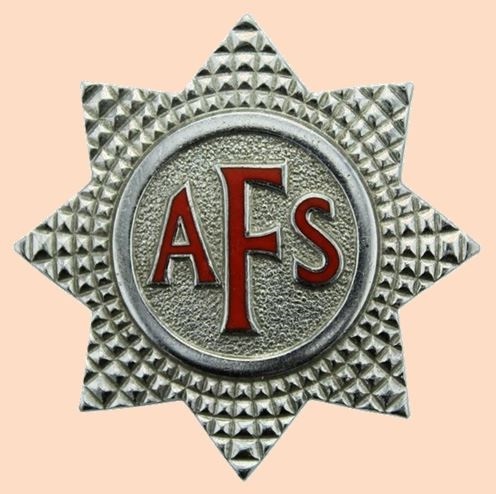 As the plan was always to be a temporary one, it was intended that the established borough, town and parish brigades be left to carry on in their own right whilst the newly recruited firemen who formed sections of the AFS would be attached to those brigades, to augment them in time of need, but otherwise an entirely separate entity that could be rapidly demobilised at any moment. For men like Ryde Fire Brigade's Chief Officer Max Heller it brought great strain. Initially responsible for a nominal roll of eighteen firemen, from October 1938, when the first batch of Ryde AFS were recruited until twelve months later his responsibility had increased to well over 120 men. When he requested a pay review to reflect his expanding workload the Town Council treated his request with contempt. If the Chief Officer's of the Island's brigades thought their tasks had increased in 1938 they had barely touched the surface of what was to come. Once the war proper started on 3 September 1939 their local authorities heaped other fire related responsibilities on their shoulders; and some a little more obscure. 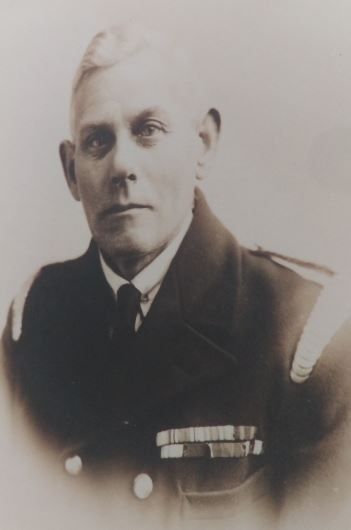 Sandown Fire Brigade's Chief Officer Wilfred H.Brown was in his 46th year of service when the war began. In addition to his home service he'd had two spells as a life-saving member of the National Fire Brigades Union Ambulance section in the Second Boer War and First World War; twice being mentioned in dispatches. By now in his mid-60's even his indefatigable character must have been placed under considerable strain by the demands placed on him by the Sandown and Shanklin Urban District Council. His diaries of 1940-1941 evidence a near relentless day by day account of tending to the needs of his regular firemen, the auxiliary firemen, the supplemented support workers, recruiting, training and arranging party's of Fire Guards and Fire Watchers, organising the filling and distribution of sandbags, cadging vehicles to tow trailer-pumps, teaching members of the Women's Voluntary Service and street fire parties to fight fires with stirrup pumps and how to recognise and deal with the notoriously underestimated 1kg German incendiary bomb; of which tens of thousands were to tumble skyward to the Island over the course of the war. For much of this period his nights were disturbed by raid alarms and whilst Sandown suffered little direct harm, the relentless days of responsibility and the restless nights must have placed strains on him that he glides effortlessly over in the lines of his studiously kepy diaries. In the two year period covered in the diaries that survived he had little more than a handful of days without a duty of some sort. 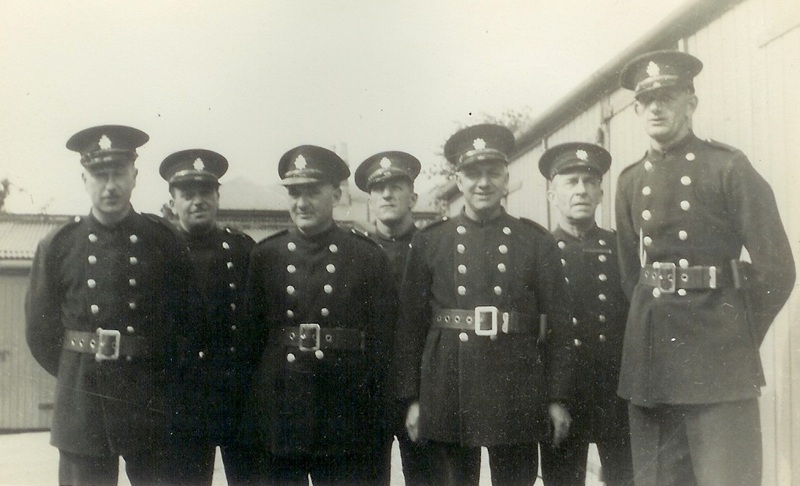 Chief Officer Max Heller with the Ryde Fire Brigade 'regulars', 1938. 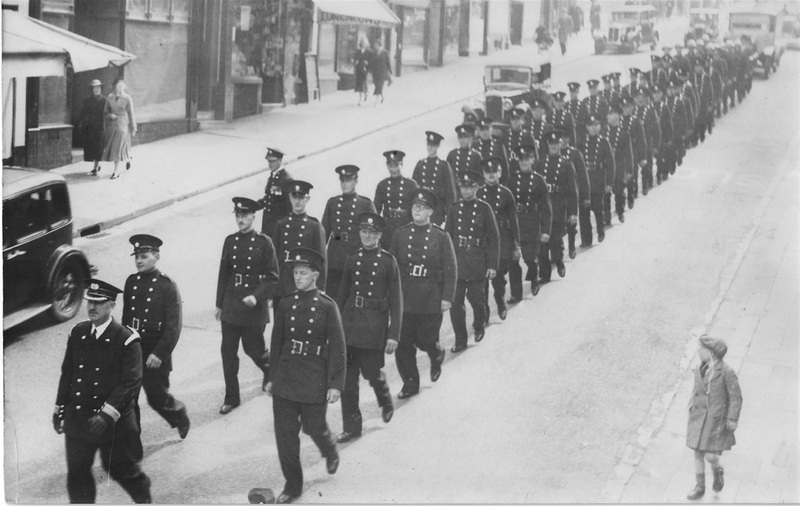 Chief Officer Max Heller parades the first Ryde AFS firemen to pass out, April 1939. 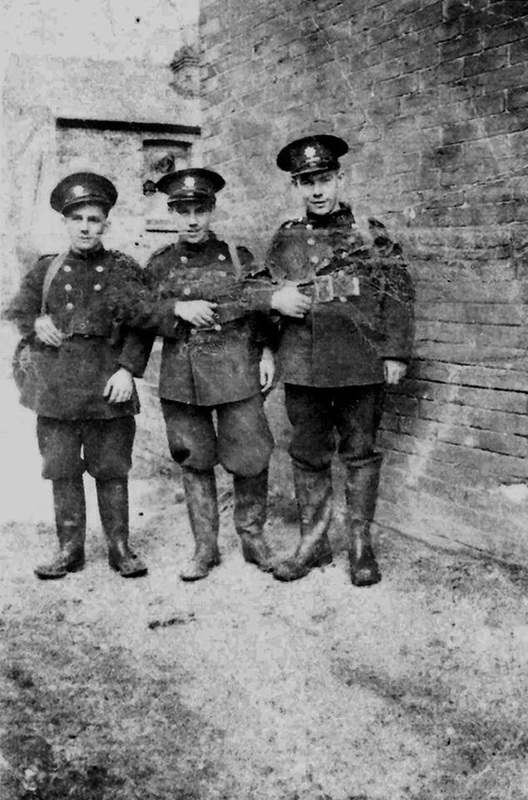 A trio of the Cowes section of the Auxiliary Fire Service (1938-1941). The London Blitz represented the ultimate test for any group of firemen at any stage in history worldwide. It is highly unlikely that any fire force will ever be called on again to match the stoic resistance and fortitude shown during that sustained period. For just over eight months the capital was relentlessly bombed often for weeks at a time without break and whilst most ran for cover, beneath the shower of explosives and incendiaries toiled the combined regulars and auxiliaries with no more to protect them a steel Tommy helmet. Notwithstanding these extraneous endeavours, the difficulties encountered with the regular brigades being equipped differently to the auxiliaries and a fractured and incomplete system of command, compelled the government to rethink. 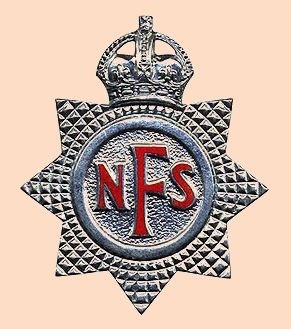 The National Fire Service was formed in August 1941. The regular brigades and auxiliaries were bound together as one, under one cap badge, one system of command and with matching sets of equipment, uniforms and structures. It was a massive investment and whilst it came after the Luftwaffe ceased its concentrated bombing of the capital, there was still much firefighting to come all over the country including the Isle of Wight. The Island's newly formed NFS contingent were a part of Fire Force 6 (Southern) Division 14d. The firefighting pattern had been set for the remainder of the war. The aftermath of the Cowes Blitz, 4/5 May 1942. The above image was taken shortly after the infamous Cowes Blitz of 4/5 May 1942. 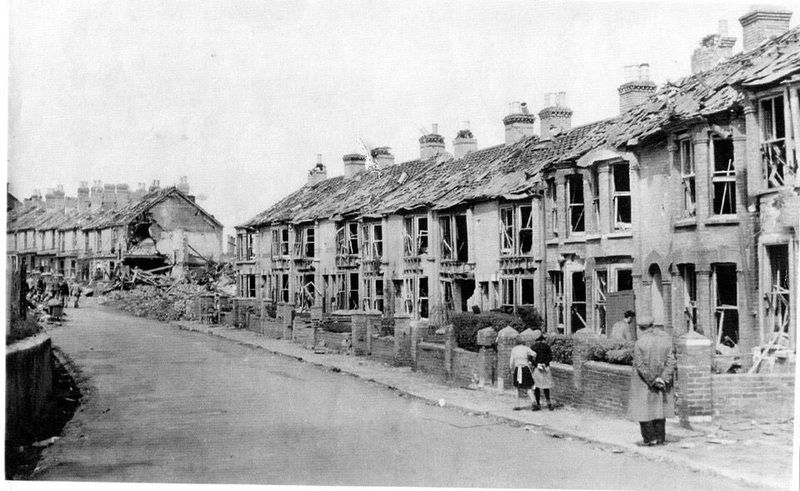 The state of the houses in Arctic Road, Cowes, suggests the level of bombing that occurred on that terrifying night and of the conditions in which the firefighters of the Island's division of the National Fire Service would have been working in throughout that night and in to the next morning. 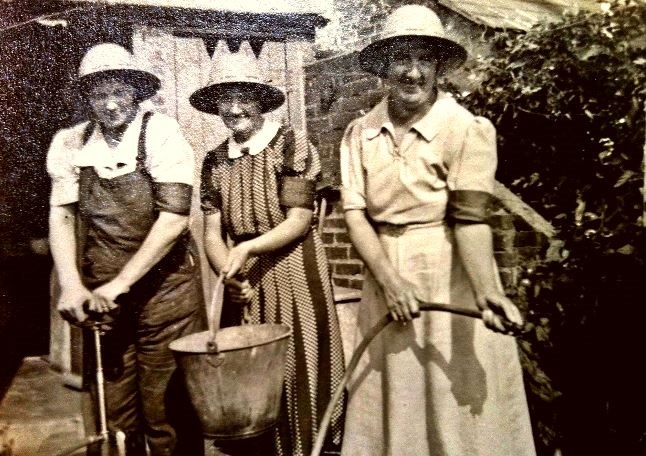 Mrs Reed, Mrs Stroud and Mrs Yates practising stirrup pump drill at the rear of 76 Station Avenue, Sandown. Messenger James Wood, Sandown section of the NFS, 1944. 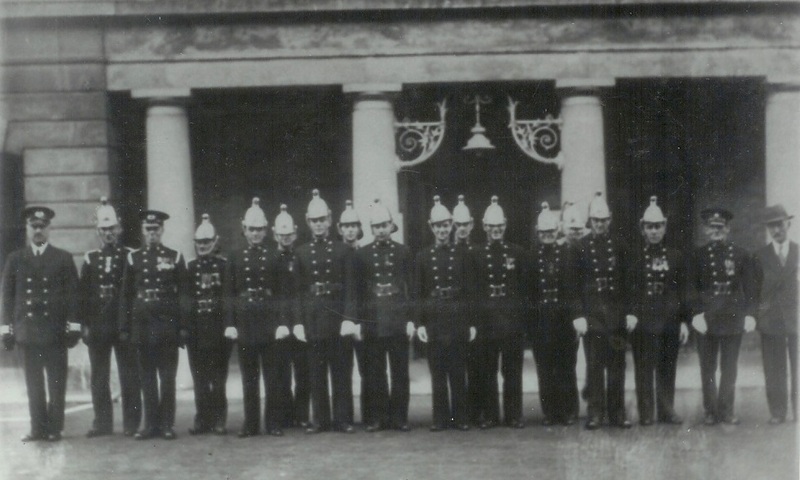 Ryde section of the NFS; 4Y Heavy Crew, Edward Street Fire Station 1942. 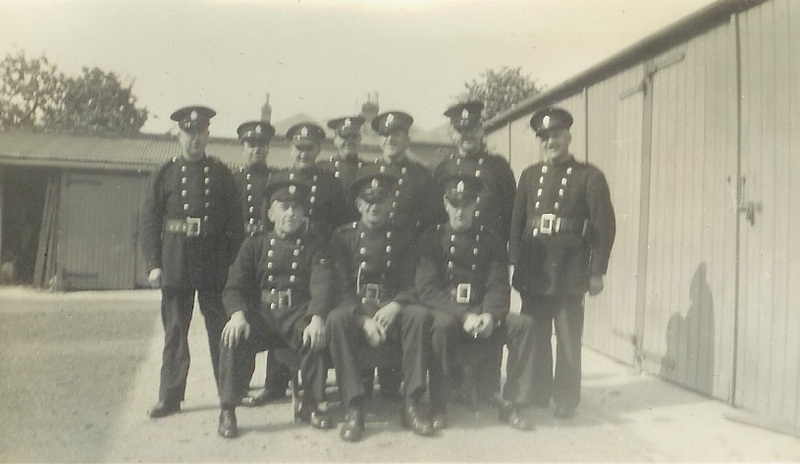 Blue Watch, Edward Street Fire Station, Ryde, 1942. 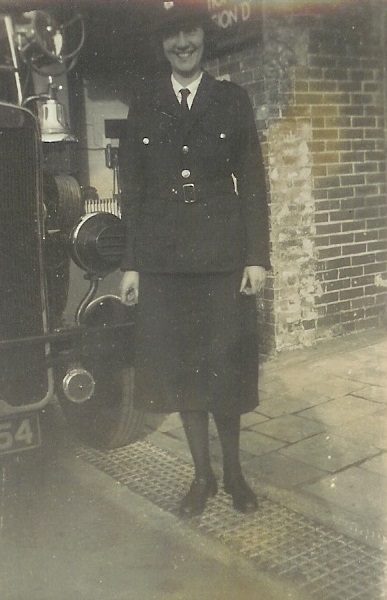 Firewoman Elsie Barnett, Ryde Fire Station, 1942.